Remember spring break? A scheduled week where flights, hotels, and car rental prices would be through the roof thanks to schools having off. Where did you go? Were you the uncool kid who just sat at home watching cartoons, or were you the really cool kid who went to a different country? It was such a stereotype- somehow the most popular kids went to Mexico, got all tan, their hair in braids, photos of them parasailing and waterskiing. 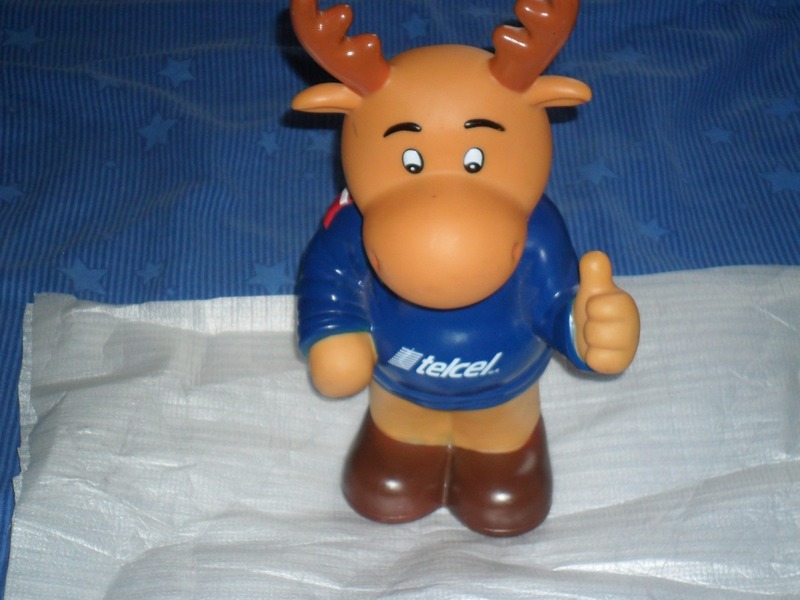 But most of them missed the best thing about the nation, Abierto Mexicano, and in particular, the TelCel moose. The Mexican Open got a major upgrade when they were sponsored by TelCel, a huge cellular communications company based in Mexico City. 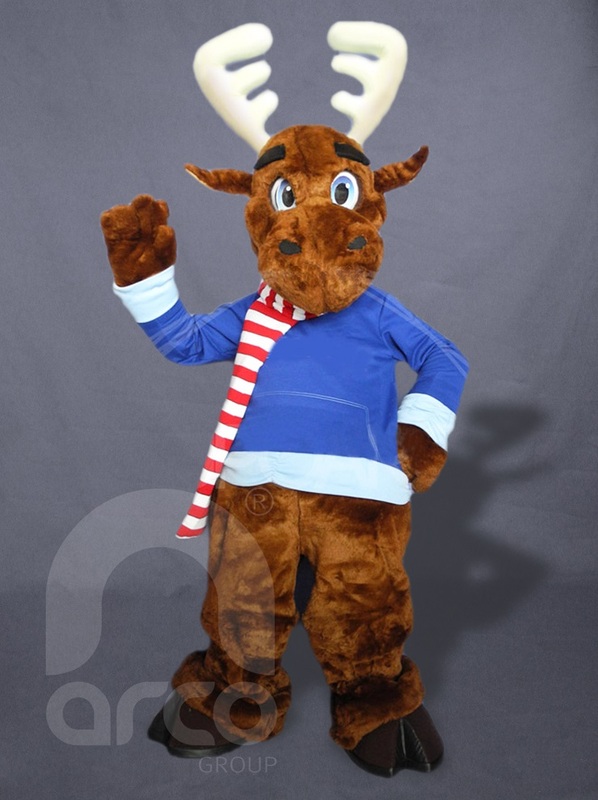 Each year, the company sends the moose down to Acapulco, and though he remains pretty anonymous, with no name, no back story, and no media coverage, he gets his happiness from the fans who excitedly post photos after meeting him. 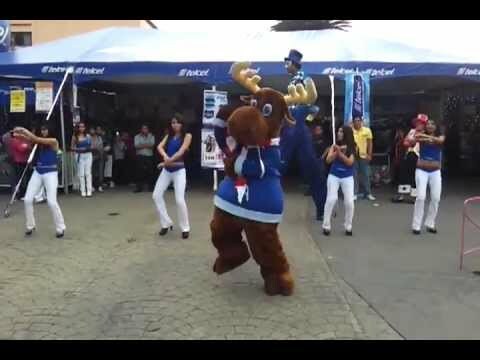 You can dance with him!!! He’s got the moves! He wants you to have a good day- thumbs up everyone! I think of tennis as such a rich, snooty person thing. It’s a workout for sure, but it also involves a wealthy audience, fancy equipment, and traveling around the world to play the best people from every nation. I had no idea that there were actually smaller U.S. teams. But thank you, Robert Kraft, for showing me how wrong I am. Yes, owner of the mega-power conglomerate that is Kraft Foods, and owner of that lil scandal team the New England Patriots; he also owns the Boston Lobsters. 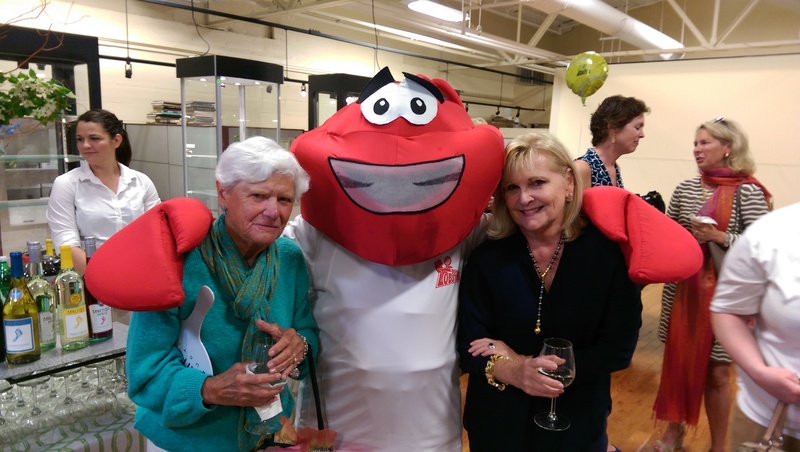 The World TeamTennis league is the coed professional tennis league in the U.S. It was founded in 1973, and was so unpopular that by 1978, operations stopped and they were no more. 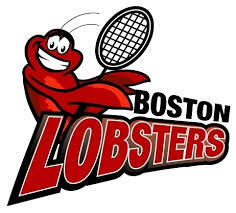 But, thanks to Billie Jean King, who is well known as ex-wife of Larry King and is actually a really great tennis player, the WTT came back, and so did the Boston Lobsters. 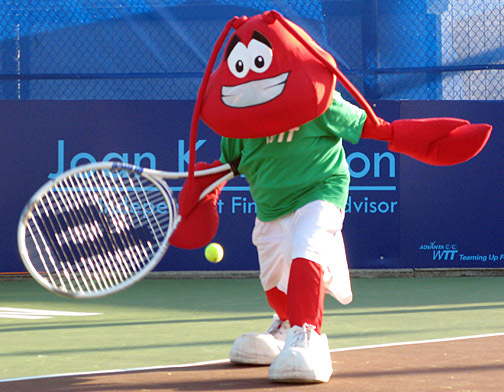 Larry T. Lobster is the official team mascot, who looks friendly and not as stuck-up as most tennis players. He is wearing pretty nice shorts though. Larry is thankful for his job because he gets to make kids smile, and because it saves him from being eaten by seafood-loving Bostonians. He’s always got that happy/scared/worried smile going. Though in this case, I don’t blame him… we all know how wild middle-aged ladies can get when they have a little wine.